Debra Woods Jenkins, author of “In The Midst,” will present the program, “I’ve Always Wanted to Write a Book – Now What?” on Thursday, April 7, at 7 p.m., at the Macon County Public Library, as part of the Walking In Spring series. She will also be leading a hike to Gabby Mountain, meeting on Friday, April 8, at 9:30 a.m. at the library, and Saturday, April 9, starting at 10 a.m. at the trailhead. Jenkins grew up in the Cullasaja community and graduated from Franklin High School. Jenkins teaches Special Education in elementary school in Tennessee. “Writing the book was different. When I started to write a book, I thought, ‘I don’t know how to write a book’. I’ve written a lot, I’ve written papers, I wrote a thesis in college, I’ve done all kinds of things but what do you do to write a book and how do you start?” she said. Jenkins took a class at the University of Tennessee on how to write a book. She learned certain techniques to keep her going, particularly when she was stuck. “I would have several books, even books I hadn’t read yet, and just open one and let my eye fall on a certain word. I would get inspiration and motivation from that one word. It helped me to start thinking again and keep going rather than get hung up on one word,” she said. “When you start a new adventure like writing a book, you don’t even know the questions to ask because you haven’t been there before. I learned so much from writing my book that I wanted to share with people who wanted to get started. Talking about how to start may resolve some issues for others and help them to start writing their books,” Jenkins concluded. 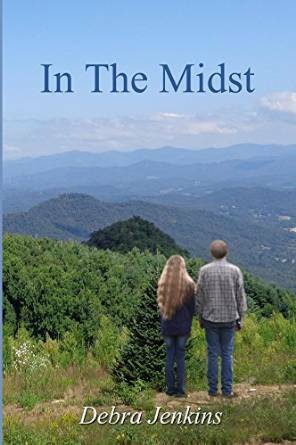 Gabby Mountain figures prominently in her book, “In The Midst.” “People like to go up to Gabby Mountain because you can get away from everything. You don’t hear a car, cell phones don’t work, it’s good to go there to get some peace and quiet. The Bartram Trail goes up there on Gabby Mountain,” she said. 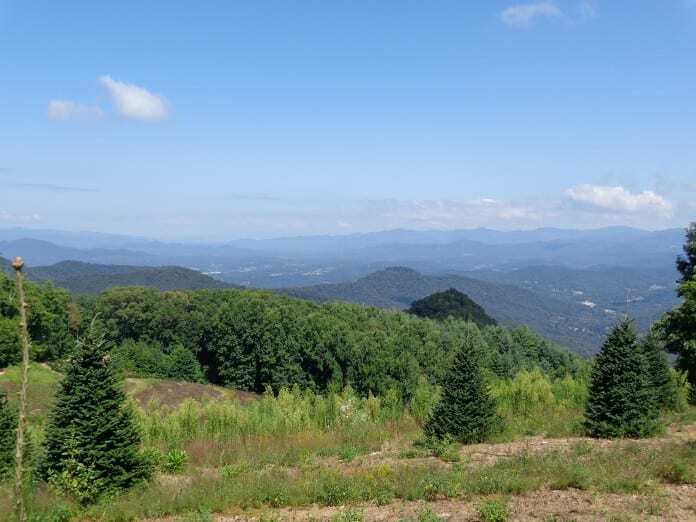 The hike to Gabby Mountain on Friday morning will be with the author and the Nantahala Hiking Club. They will gather at the library at 9:30 AM to carpool/caravan. The hike will be led by Jenkins,is open to anyone, and will start at the trailhead. “It’s about two miles, pack a lunch, and dogs on leashes are welcome on Saturday. It’s a fairly easy hike up a dirt road, not a trail,” explained Jenkins. For more information, contact the Macon County Public Library or the Nantahala Hiking Club.